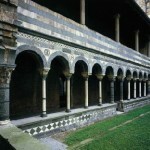 The museum, created in 1967, in order to house works coming from the Cathedral, has been enlarged several times and recently renovated, thus creating a suggestive itinerary around the harmonious Romanesque cloister, with works coming from the entire diocese. 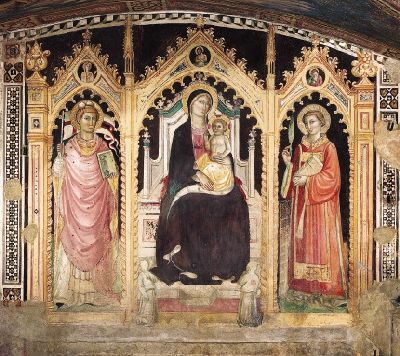 In 1989, following an agreement between the Municipality and the Diocese, the Prato Museum System, which is made up also of the Diocesan Museums (the Duomo, Mural Painting, Museum of the Parish Church of Figline, Museum of the Badia of Vaiano) was created. 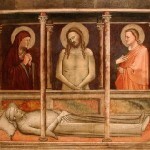 The first room displays wooden and polyptych panels dating from the 14th to the beginning of the 15th century (by Giovanni Bonsi, Lorenzo di Niccolò, Giovanni Toscani), notable sculptures (among which is the head of a Crucifix from 1220-30 and a powerful relief by Giroldo da Como, del 1262 ca) and 14th-15th century sacred furnishings. The following room houses the precious Saint Stephen’s Hangings, donated by Provost Alessandro de’Medici (Leon XI), and 15th century various illuminated choir books(by Rossello Franchi and Attavante Attavanti). 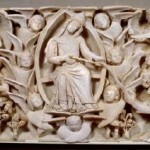 The adjoining room is dedicated to the worship of the Holy Girdle of the Madonna, the most valuable relic of the territory, and shows some vibrant marble reliefs either from an exterior pulpit or perhaps from an altar frontal , sculpted in 1358-60 by the Sienese Niccolò del Mercia. 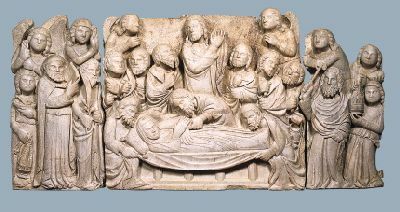 Through the basement – the excavation brought to light finds ranging from the Etruscan period to the 15th century and modest structures dating from Early Middle Ages – one can reach the Room of the 1400’s where one can admire Renaissance paintings such as Filippo Lippi’s masterpiece in Prato, The Funeral Rites of Saint Jerome (1453 ca), which is a valuable panel by Piero di Lorenzo (1449), who was one of his pupils, and a molded Crucifix of Botticelli’s school. 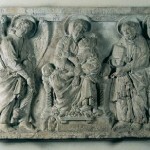 The following room, of beautiful Renaissance form, has an exceptional marble parapet in its center (1434-38) from the Pulpit by Donatello and Michelozzo, a sort of small, round temple in which an uncontainable joy bursts out of the little dancing angels, pictorially rendered through the “stiacciato”, or low relief, the complex foreshortened perspectives and its mosaic background. 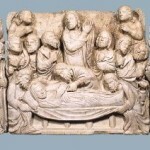 A precious Renaissance piece is the casket (1446), by Maso di Bartolomeo, which used to contain the Holy Girdle. 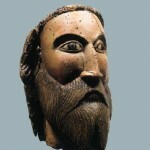 Also notable are other 15th century sculptures. 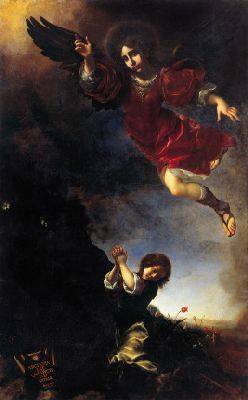 From an adjoining room that houses 17th century paintings (works by Matteo Rosselli, Empoli, Livio Mehus), among which is the notable altar-piece with the Guardian angel (1675) by Carlo Dolci,one comes out under the remaining side of the small Romanesque cloister of the cathedral second half of the12th century), in white marble and green serpentine, which preserves some refined zoomorphic capitals. From here, through a sepulchral chapel (first half of the 12th century) one reaches the “Vaults”, the basement of the Cathedral transept, used from 1326 to the end of the 1700’s for family burials where one can still admire: coats-of-arms, sepulchral insignias, and various important 14th-16th century frescoes–such as a Pietà by Bonaccorso di Cino. 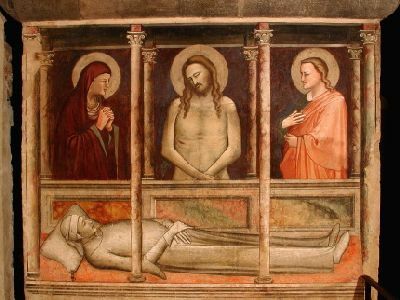 Connected to the vaults is the Chapel of Saint Stephen, frescoed by the Miniati brothers around 1420.The Chapel still has an original 15th century loose stone foundation in terracotta bent tiles and houses important reliquaries of the Cathedral. One exits the museum through the 13th century bell tower alongside the Cathedral. Size: 99 cm. x 196 cm. 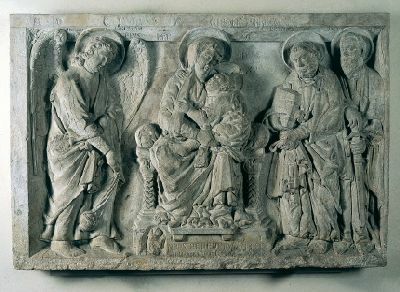 This relief was made by Niccolò and his son Sano (who also worked on the completion of the duomo’s bell tower) for an external pulpit of the cathedral of Prato, intended to display the relic of the Holy Girdle. Size: h. 23 cm. e 22 cm. Classic artefacts in an elegant Gothic style, with engravings and a six-lobed base; the node has elegant disks with enamels and engravings. 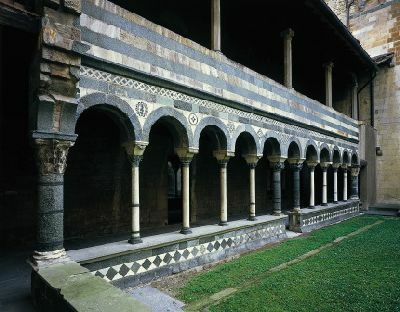 The structure, of which only the eastern side has been retained, is the only remaining example in the Florence area of a marble-inlaid Romanesque cloister. Size: 96 cm. x 197 cm. 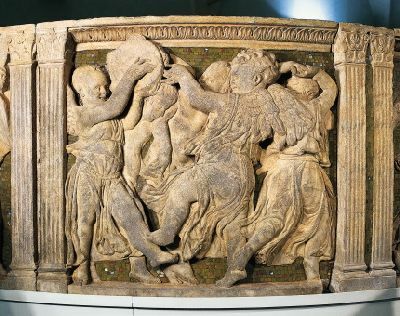 Similar to the previous high relief, but of greater expressiveness, this relief perhaps was part of the parapet of a second pulpit inside the church, or the frontal of an altar. Size: 88 cm. x 53 cm. 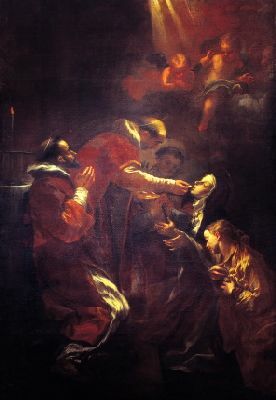 The altarpiece has a refined, balanced, and concise composition, with figures harmoniously shaped by the elegant chiaroscuro. 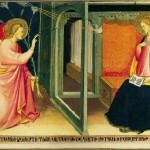 Similar to the Master of San Lucchese’s work, it shows references to Maso di Banco and to Jacopo di Cione’s best works. Size: 178 cm. x 167 cm. 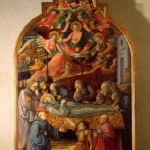 The altarpiece was painted by the Master of the Castello Nativity, now identified with Piero di Lorenzo, one of Lippi’s assistants. Size: 52 cm. 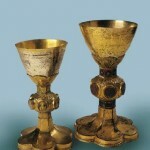 x 26 cm. 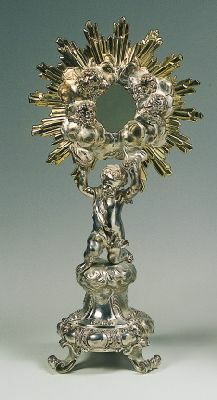 Of remarkable quality, the monstrance has a sunburst supported by an elegant cherub in full relief. 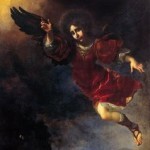 It was commissioned to Holzmann in 1710 by the Bardi counts of Vernio for the Church of San Quirico. 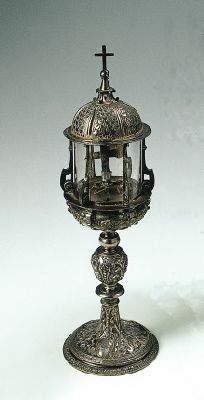 The elegant reliquary in the shape of a tempietto is supported by voluted spurs and topped by a fish-scaled dome. 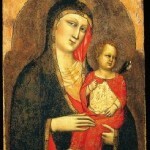 It was made for the Cathedral by the Opera della Cintola. Size: 173 cm. 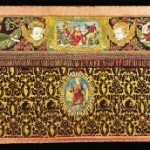 x 110 cm. 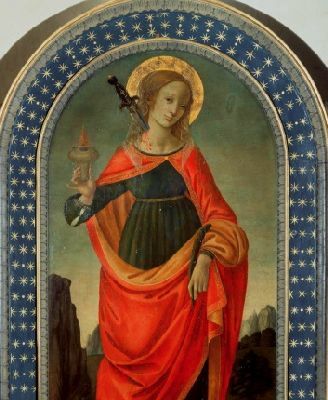 The work was painted for a minor altar of the Parish Church of Santo Stefano (Duomo) by an artist with extensive education, perhaps trained in Filippo Lippi’s workshop, but also influenced by Ghirlandaio and Botticini. Size: 60 cm. 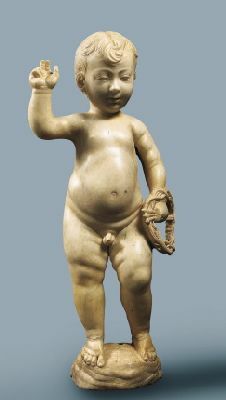 x 43 cm. 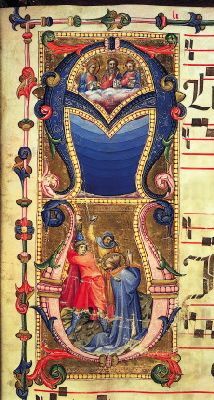 The original composition decorates a gradual created for the cathedral, richly illuminated with elegant scenes that show evanescent chromatic subtleties in the style of Gaddi, as well as an already Ghibertian plastic effect and linear fluency. Size: 14 cm. 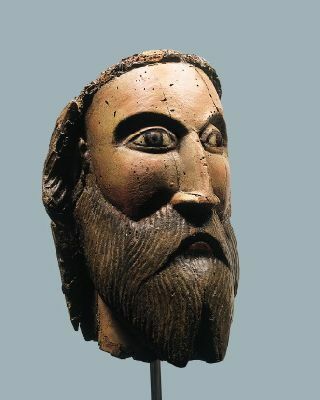 x 20 cm. 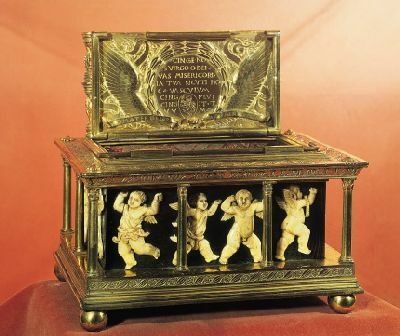 Made as a prized treasure chest for the Marian relic (which was kept there until the 17th century), it is a reworking of Donatello’s motif of putti dancing inside a small temple. 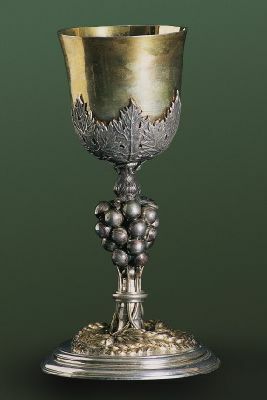 Made for the Prato Church of San Bartolomeo by one of the most skilled grand-ducal silversmiths, the structure of this highly original artifact is made up of Eucharistic symbols (the node is a cluster of grapes, the base is adorned with ears of wheat). 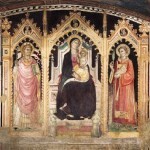 In this painting (carried out on one of the pillars of the cathedral’s “vaults”), a double portico is reproduced, behind which stand out the imposing figures of the Virgin and Saint John, to the sides of the dead Christ. Size: 293 cm. x 173 cm. 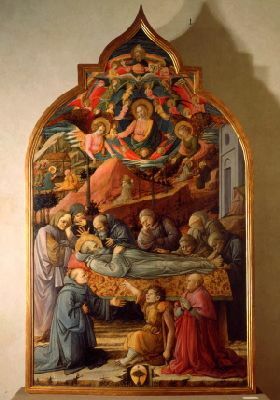 The altarpiece, probably Lippi’s masterpiece in Prato, was commissioned to the artist for an altar in the parish church (later Cathedral) by the provost Geminiano Inghirami. Size: 260 cm. x 162 cm. The altarpiece was commissioned for the cathedral’s Chapel of the Assumption by the confraternity known as that of the Guardian Angels formed by one hundred priests. 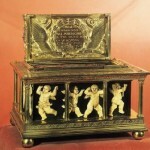 It was carried out between 1670 and 1675 (the work is signed and dated 1675). Size: 94 cm. x 140 cm. 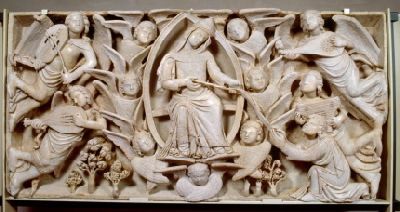 Giroldo, who worked for many years in Tuscany (Volterra, Massa Marittima, and San Miniato), signed and dated this exceptional sculpture which depicts vigorous and well-portrayed figures, combined with traditional Byzantine elements (the lyre throne of the Virgin). Size: 100 cm. x 303 cm. 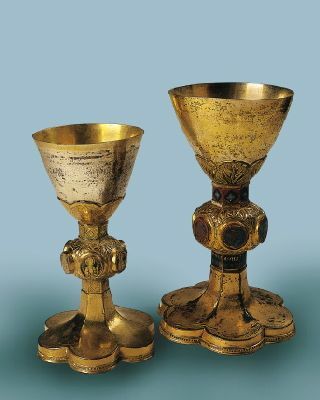 Part of an elegant pontifical set (the cope and chasuble are also displayed in the museum) donated to the Cathedral around 1590 by the provost, Cardinal Alessandro de’ Medici – later Pope Leo XI. Size: 74 cm. x 47 cm. 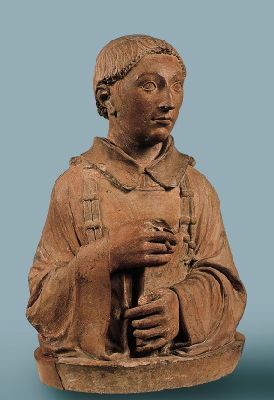 Of remarkable quality, the bust comes from the Prato Church of San Lorenzo in Pizzidimonte (where it was placed on the external lunette of the portal). Size: 132 cm. x 91 cm. 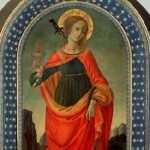 Painted for the Cai chapel in Prato, this work shows Franchi’s typical, exceptional skill in drawing. 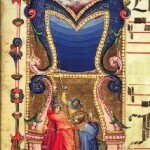 A disciple of Mussini in Siena, this is one of his most personal and heartfelt works. The chapel, below the sacristy of the Cathedral (1320), was the seat of the Company of Saint Stephen, and was redecorated around 1420. Size: 101 cm. x 136 cm. 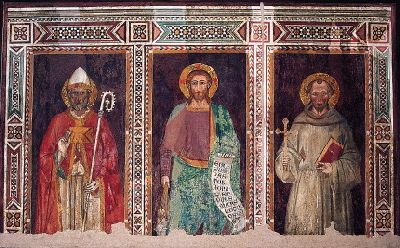 As the mutilated inscription indicates, this panel painting was commissioned by the notary Antonio de’ Toffi. 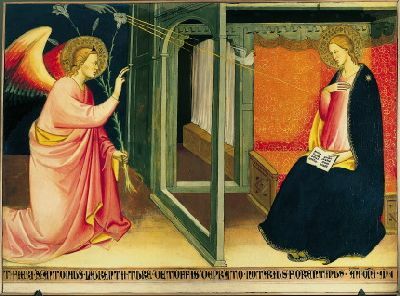 The painting, with crisp and elongated figures, and refined and lively colors, is probably a late work by the artist, a disciple of Niccolò Gerini. Size: 158 cm. x 83 cm. 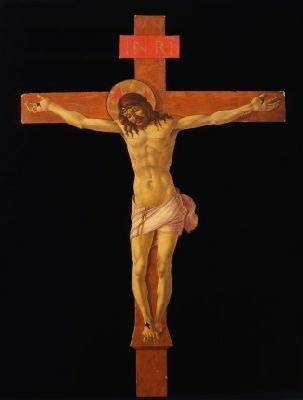 From the monastery of San Vincenzo comes this crucifix painted (also on the back) on a shaped wooden panel (in imitation of a carved crucifix), following a 14th-century fashion later spread by Lorenzo Monaco. Size: 60 cm. x 28 cm. 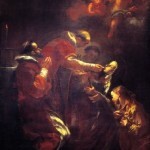 The small figure of the Infant Jesus, which is holding the crown of thorns and nails, is based on that by Desiderio da Settignano in Florence’s Church of San Lorenzo; it is differentiated, however, by its heightened realism. Size: 196 cm. 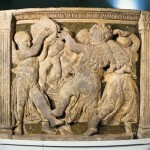 x 317 cm. 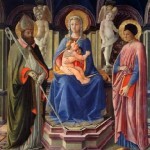 The painting comes from the Vinaccesi chapel in the cathedral (the first chapel to the right in the transept). It was detached in 1872 by Alessandro Franchi before carrying out the room’s new decoration. Size: 89 cm. x 68 cm. 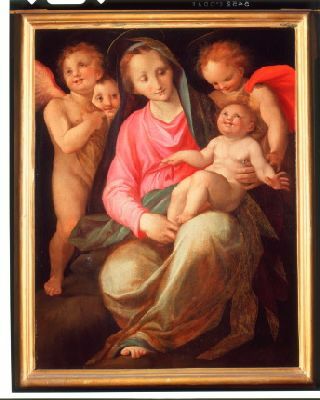 A cultured and refined work with allusions to Pontormo and Andrea del Sarto, probably painted for the Palazzo della Propositura (the current Bishop’s Palace). 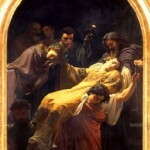 Another version of the painting is in the Birmingham City Museum. Size: h. 79 cm., diam. 209 cm. The parapet, made up of seven main reliefs (and four minor ones with architectural elements), reproduces the shape of a circular tempietto supported by double pillars. Size: 54 cm. x 39 cm. 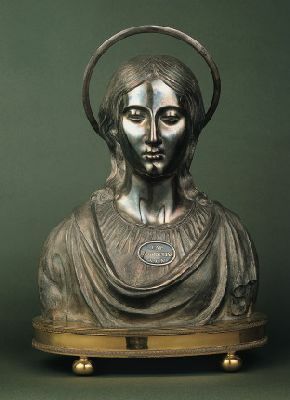 In a refined neoclassical style, the bust, with the beautiful youthful face of the saint, has a gilded metal base; it was made for the cathedral after the previous reliquary had been handed over to the grand-ducal government, and cast in 1799. Size: 103 cm. x 77 cm . ; 102 cm. x 76 cm. 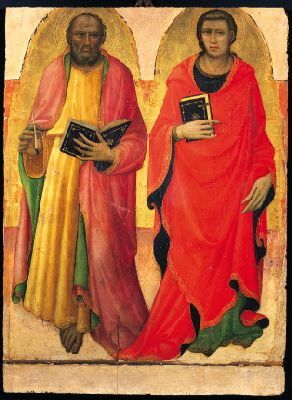 The large figures are lightened by the refined use of color and the elegant Gothic rhythm of the garments and poses. 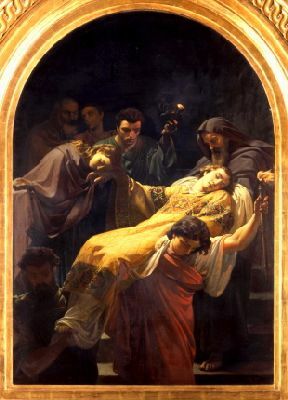 They show references to Iacopo di Cione (probably Toscani’s master) and to Niccolò Gerini. comes from the Arezzo area. By car: from the A1, take the A11 exit (Pisa Nord) towards Prato. By train: the local trains that run on the Florence-Bologna and Florence-Lucca lines stop in Prato at the stations of Prato Centrale and Prato Porta al Seraglio). 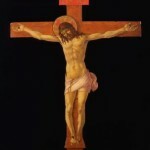 Sunday: 10:00 a.m. to 1:00 p.m.
Closed each year on the following holidays: 1 January, Easter; 1 May; 15 August; and Christmas. Partially accessible to the differently abled. 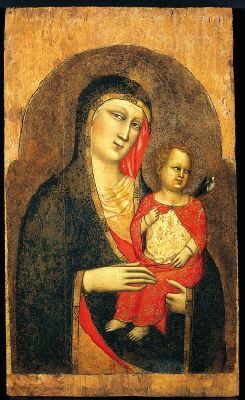 Combined ticket (now suspended for rearrangement of the museum of Mural Painting) Museum of the Works of the Cathedral and Museum of Mural Painting: full price € 8.00 / reduced price € 5.00. 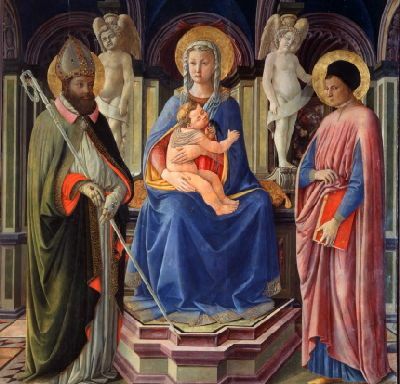 Discounts: for those over 65, children (4 to 18 years of age), visitors to the Lippi frescoes who are in possession of the ticket issued in the Cathedral of Prato, students, Edumusei Card (teachers, educators), Amici dei Musei Association, groups of more than 20 people. Free admission: children up to 3 years of age, tour guides/escorts of groups over 20 people.